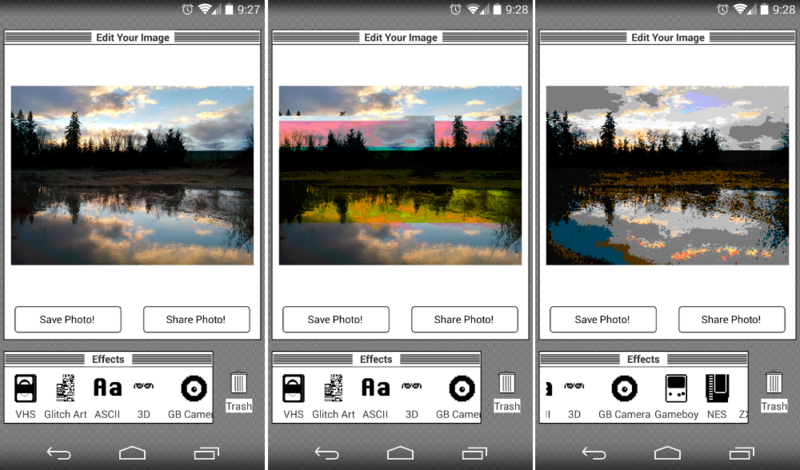 A new photo editing application called Glitchr is out on Google Play, made for those of you who love the old school look of NES and Gameboy titles. On top of adding just a retro look to your photos, you can also add a 3D effect, plus other interesting effects such as VHS and ASCII. Remember VHS? Once you have selected a filter you like, Glitchr makes it extremely easy to either save the photo to your gallery or share right to any social site you like. The one thing I do wish is that Glitchr had more effects, since I feel that most of these will never be used on my account. Since the app is completely free, and there are no IAPs or advertisements, you should definitely add it to your collection of photo filter apps.